NEW STOCK JUST ARRIVED IN PART EXCHANGE. 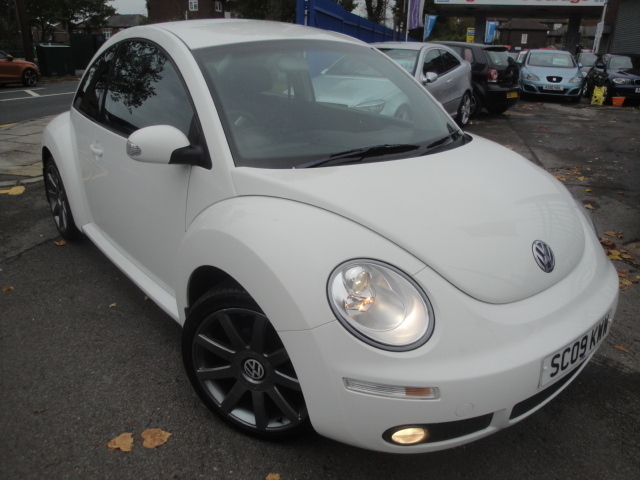 THIS VW BEETLE IS FINISHED IN ICCE WHITE PAINTWORK AND HAS 'RECARO STYLE' SPORT SEATS WITH THE WINTER PACK WHICH INCLUDES HEATED FRONT SEATS AND FRONT FOG LAMPS. THE CAR ALSO BOASTS 18'' 9 SPOKE ALLOY WHEELS FINISHED IN GREY WHICH GIVE THE CAR A DISTINCTIVE LOOK. SERVICED AT 13042, 27324, 29904, 35849, 39958, 44367 AND 49206 MILES.